Rainbows Wallpaper by Wallcandy (WCWPRAIN) at Pure Design Kids / Bedroom / Wallcandy ::: Kids' Toys, Furniture and More at Pure Design Kids! Rainbows are just one of those things that make everyone smile. 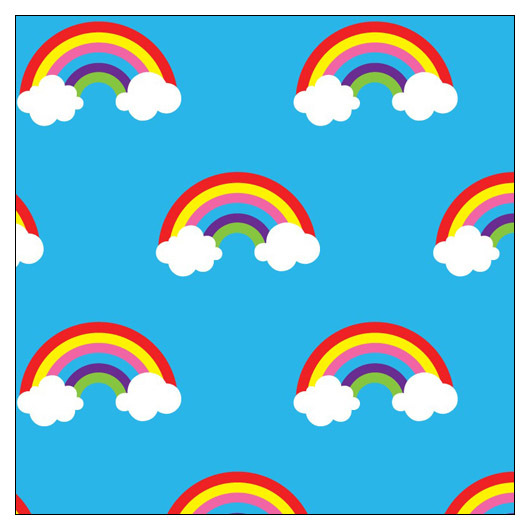 Brighten up your favorite wall with a fun rainbow print, on either a blue or yellow background. Kit includes four rolls of peel-and-stick vinyl plus a squeegee!